Structure R9-1 made from 0.59” (1.5 cm) steel tubing and steel bands. 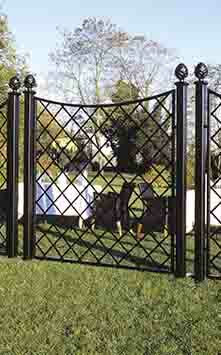 Hot-dip galvanized and powder coated black. 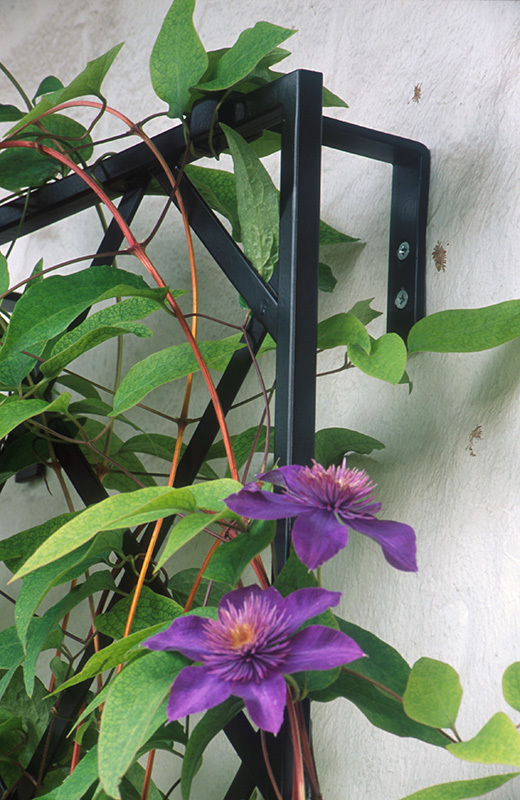 Attachment hooks provided for a recommended wall-trellis distance of 3.94” (10 cm). Not included are wall plugs and screws. Other colors on request. 10 years guarantee against rust. 10 years guarantee against rust. Available only in packs of two. 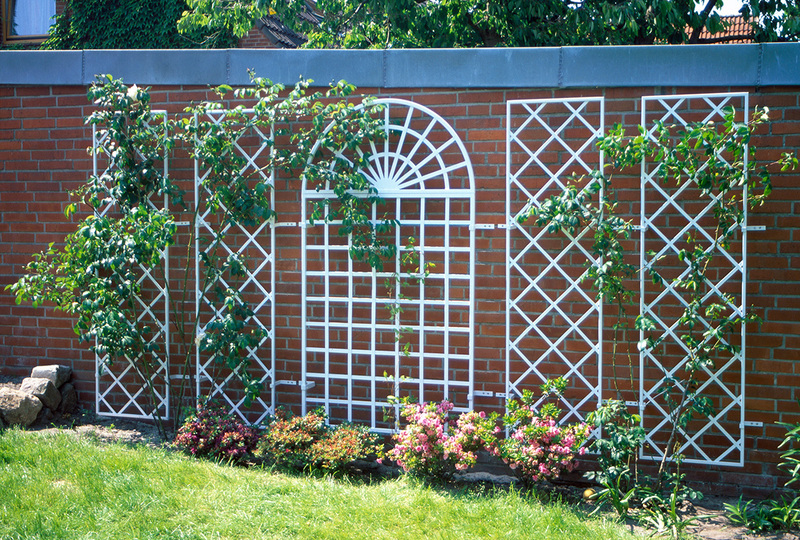 The De Rigeur Trellis is in a class of its own. 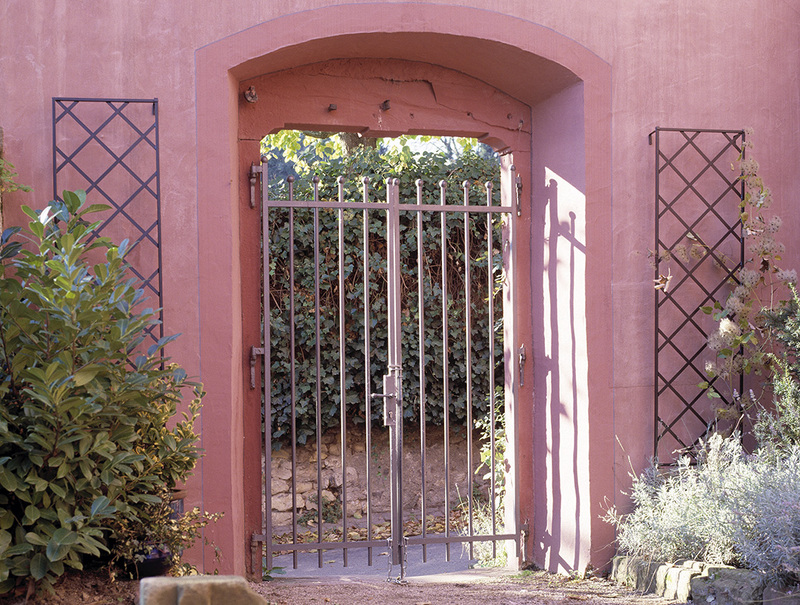 Its wrought-iron quality sets it apart from other products on the market, so that even when left unplanted it lends character to otherwise plain walls. 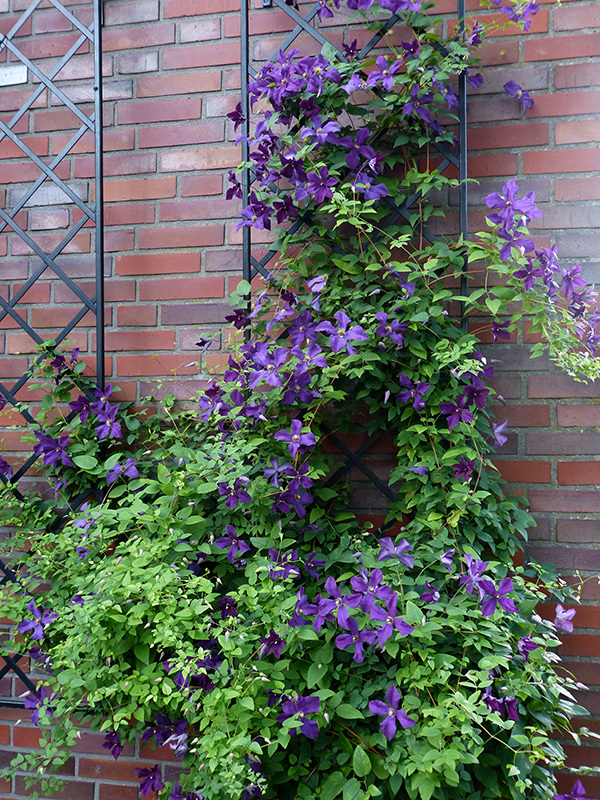 Once covered with plants, the De Rigeur serves as a beautiful link between house and garden, the perfect partner for roses and clematis. 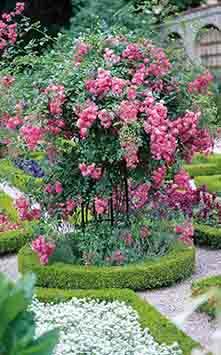 Vigorous climbing roses in particular will appreciate its stability. 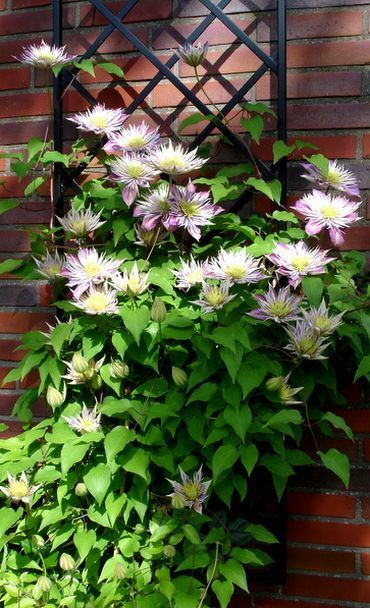 Unlike more rustic wooden trellises, this metal frame will not need to be treated annually with protection agents (some of which are at least partially toxic). 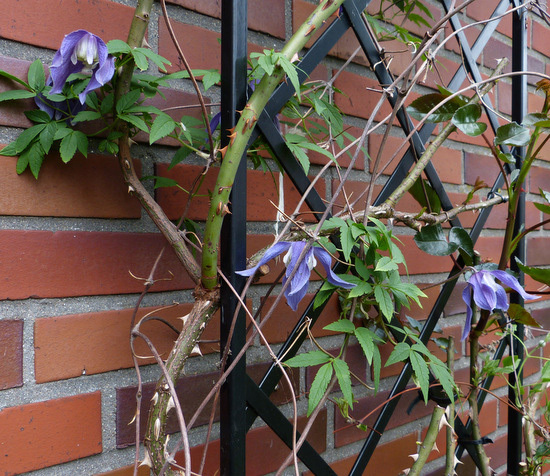 Thanks to a 10-centimetre gap between the trellis and the wall, air can circulate freely and there is no problem with dampness. 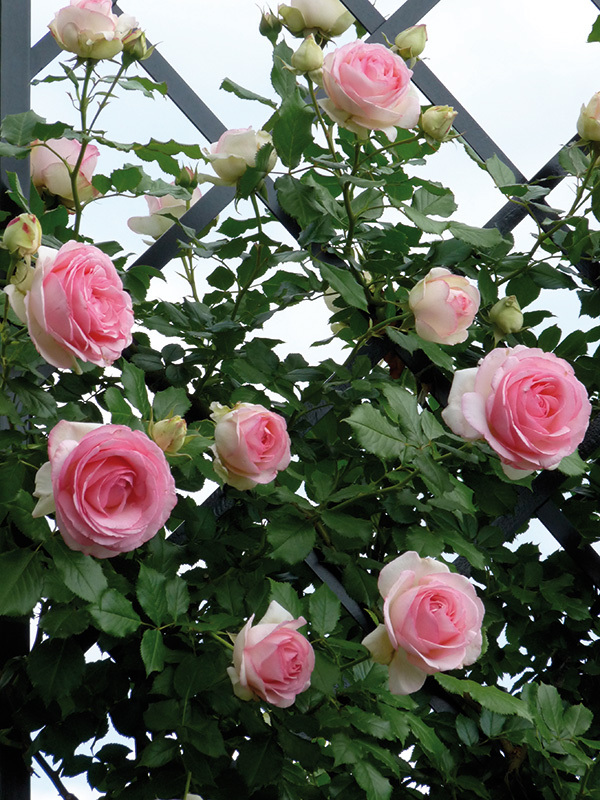 To make pruning easier, rose shoots should always be attached at the front of the frame and not be allowed to grow in and out of the latticework. 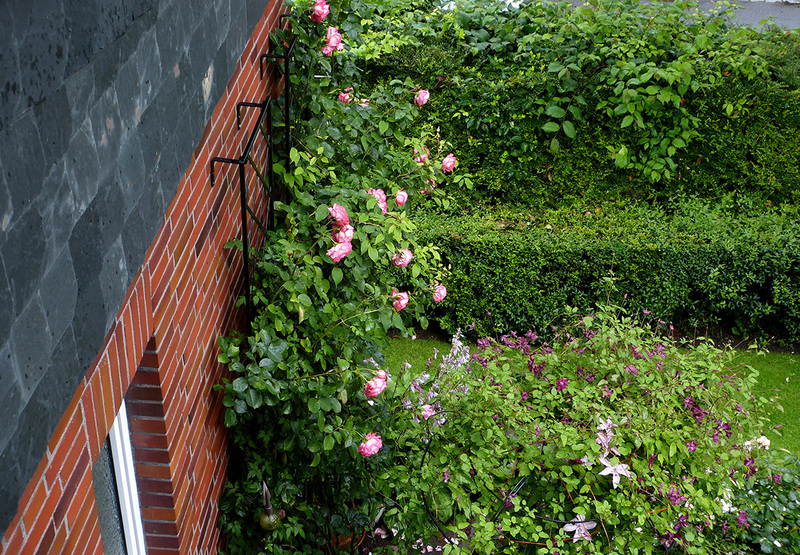 Roses can scale the walls of a house up to second floor and beyond. 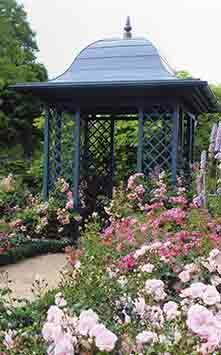 At loftier heights they will require an agile gardener, as they still need to be pruned, and will have to be tied to the upper part of the trellis. 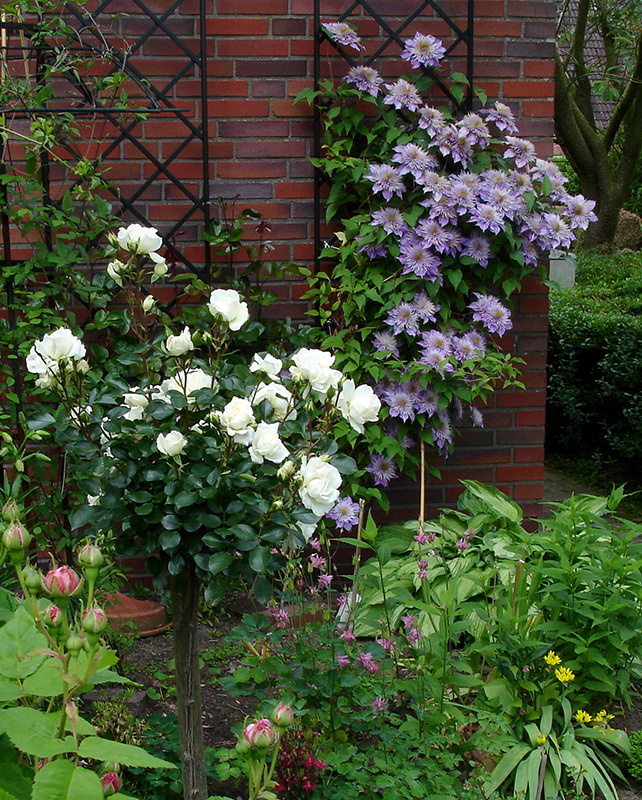 This is one point to consider when deciding how high your roses should grow. 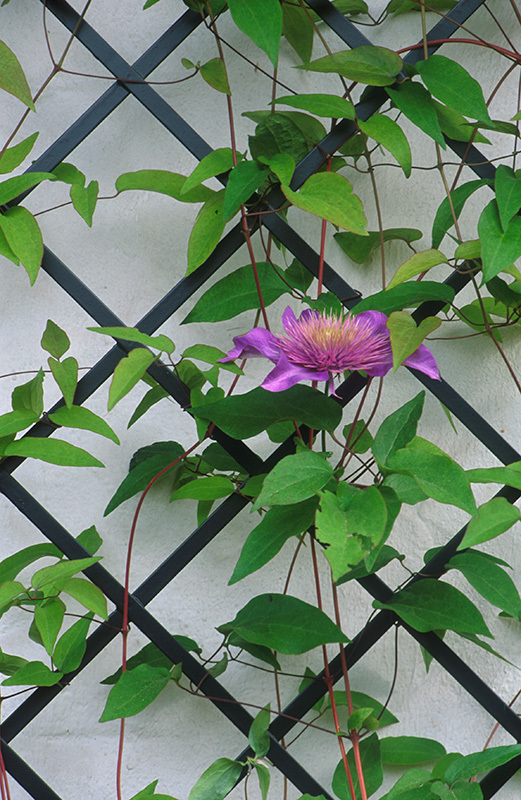 Long and high walls are ideal for vigorous-growing roses, and also for other strong climbing plants such as clematis, which not only complement the rose but can also disguise bare patches lower down the plant. 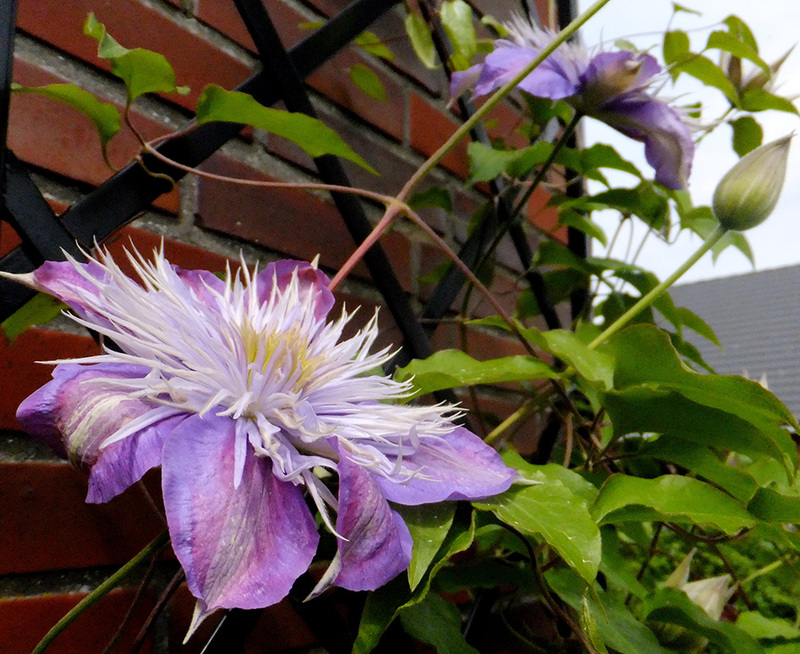 To be sure of a profusion of blooms, it is important for your plant to have optimal growing conditions. 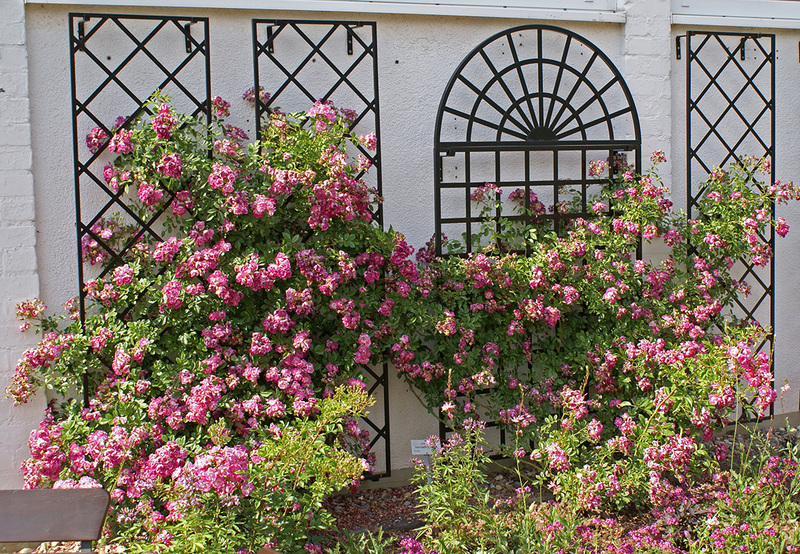 Climbing roses need a good deal of space to spread out horizontally, essential for producing rich blooms and foliage and for keeping bare shoots to a minimum. 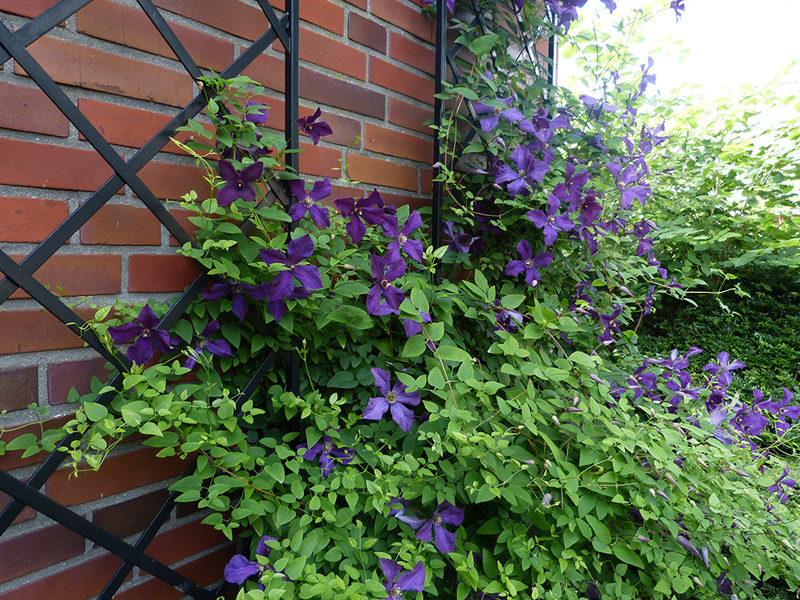 By nature, climbers are stiff-stemmed and unyielding, which is why they should never be planted in too narrow a space, for example between two closely-set windows. 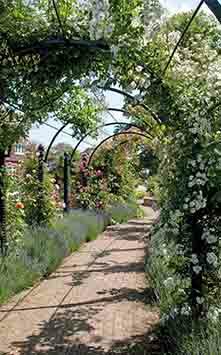 For such spaces it is preferable to choose ramblers with their more flexible canes or hybrids of wild roses with long, soft and supple shoots. 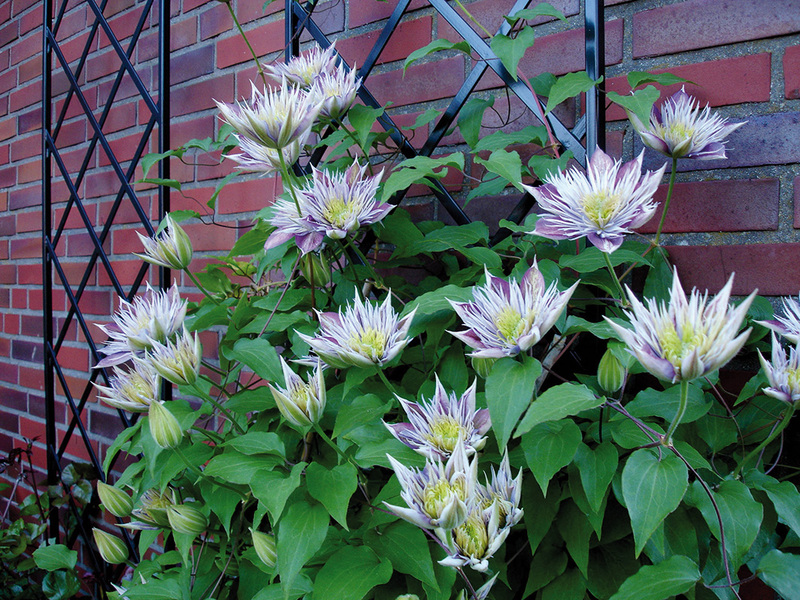 For smaller gardens there are many weaker-growing, repeat-blooming varieties to choose from. 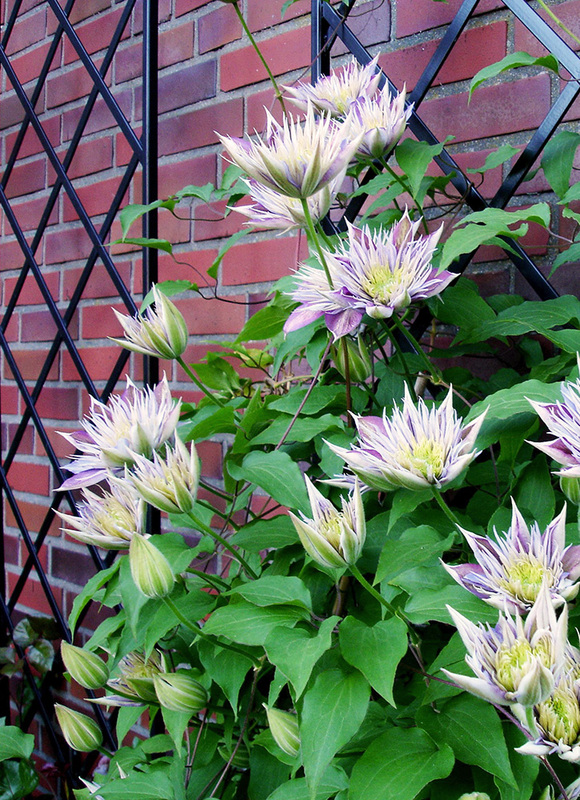 For centuries, diamond-patterned trellises have had a place in the stately gardens of Italy, France and Great Britain. 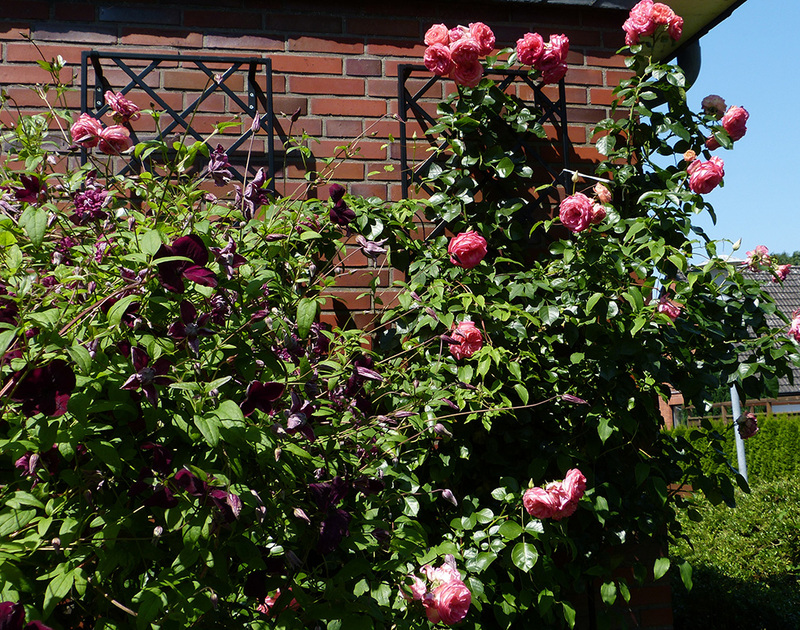 They are ideal for training all varieties of climbing rose. 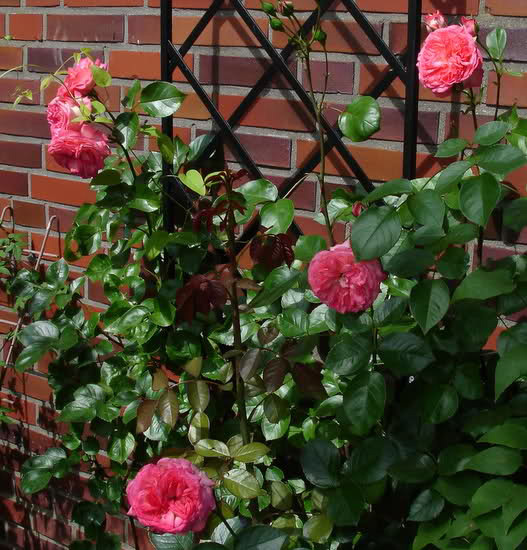 Classic Garden Elements’ De Rigeur is a must for every rose lover, incomparable in its aesthetic appeal and highly practical and versatile. 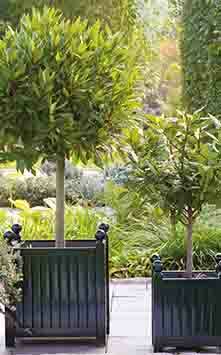 It can be installed vertically or horizontally, as a solitaire, or in pairs or groups. 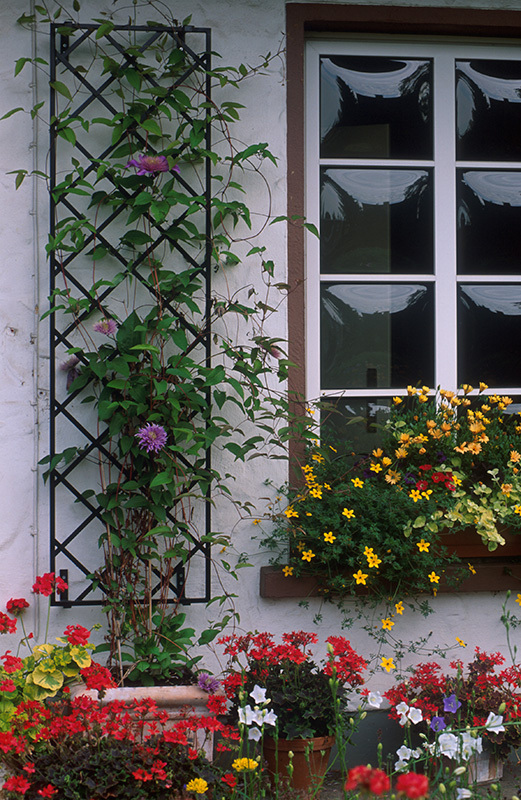 If you wish your metal wall trellises to remain partly visible beneath the plants, it will be important to consider color. 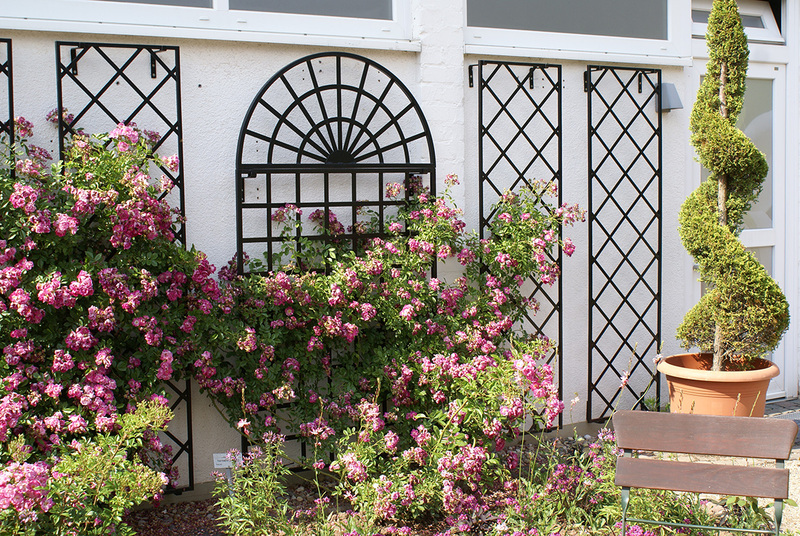 While deep black is our standard – the classic option for wrought iron and the most popular choice by far – we will be happy to offer different colors on request.